Italian made Farmina Natural & Delicious dog and cat food is known for high meat content and these new products are no exception. Farmina combines the highest quality ingredients with cutting edge research and production technology. The result is a diet you feel good feeding your companion. You will both love that it smells so fresh and meaty! 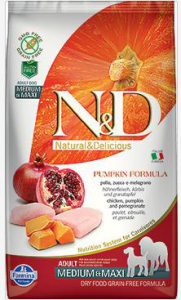 Farmina N&D is launching a collection of delicious, high quality canned foods for dogs and cats. 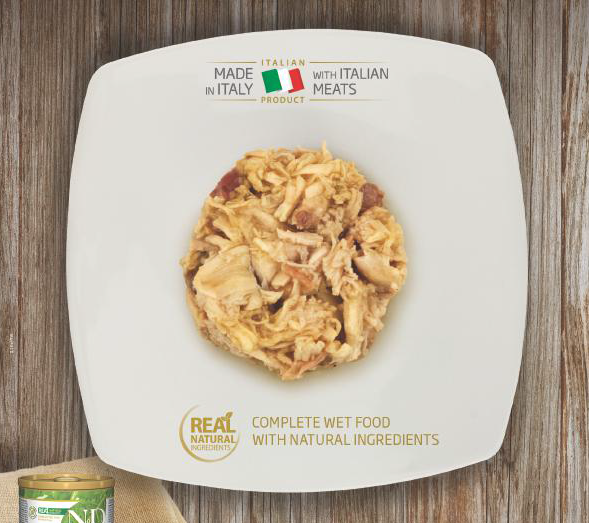 Made in Italy with human grade whole ingredients. The collection is 100% natural, grain free, carrageenan free and antibiotic free. The canned food recipes will include locally grown apple, pomegranate and blueberry. Plus, the antioxidant, anti-inflammatory and immune boosting power of Turmeric and Green Tea. Farmina will also be launching a hypoallergenic line, ideal for dogs with food sensitivities. These formulas will be grain free & potato free. 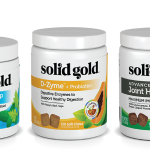 This collection will provide 90% protein from animal sources and feature pumpkin for its digestive benefits. 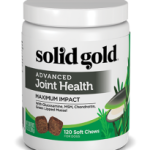 The line is expected to include four or more formulas and will be available for adult dogs and puppies. 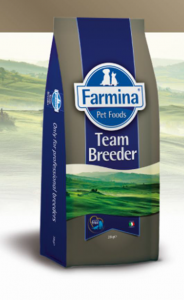 Farmina is also coming out with a new big bag called “Team Breeder”. This 44 lb. bag offers a grain free chicken diet with 28% protein – 20%fat and will be available for adult dogs & puppies. This large bag will be offered at a great value for multi dog households. We look forward to sharing updates with you as we get closer to the launch! Find Farmina at your favorite Northland Retailer.